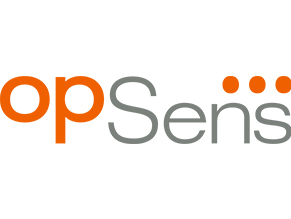 Opsens Solutions, a divisions of Opsens Inc., develops, manufactures and supplies a wide range of innovative fibre optic sensing solutions and associated signal conditioners based on proprietary patents and patent-pending technologies. These systems are designed to measure a number of parameters, including temperature, pressure, strain and displacement to original equipment manufacturers (OEM) and end-users in industrial fields such as Mining / Geotechnical, Life Sciences / Medical, Oil and Gas, Defense and Aerospace, Industrial & Laboratory, Smart Structure Health Monitoring, and Microwave Chemistry & Food. Opsens offering also includes sound technical services, such as on-site installation, training and turnkey fiber optic measurement systems. Lead by a team that possesses extensive technical background in fiber optic system design, development and production, Opsens’ products are easy to customize and highly adaptable to provide long-term accuracy and reliability in the harshest environments. Opsens designs and manufactures products with second-to-none performance through our commitment in R&D investment, continuous improvement, pursuance excellence in innovation, while maintaining the best time-to-market performance.